Decks are a great addition to your home. Apart from increasing the square footage by creating usable space on your exterior, it also adds value to your property with its aesthetic contribution. If you’re planning to install a new deck on your home, material is one of the biggest factors in its final appearance. 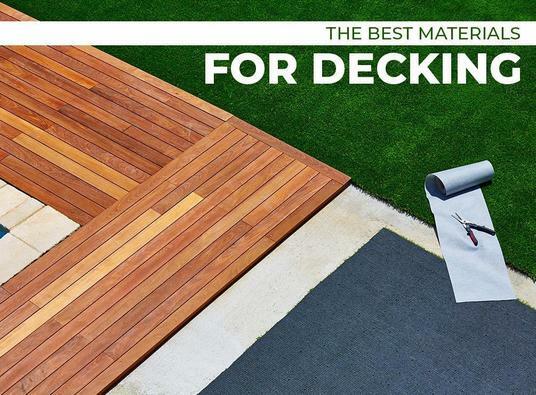 In this post, State Roofing discusses your material options for decking. Just like with roofing, cedar and redwood are the classic material for decks since they’re naturally superior. Decks made from these premium wood materials stand out in terms of aesthetics. In terms of durability, both wood species contain oils and tannins that make them naturally resistant to rot, decay and damage from common household insects. Tropical hardwood is a popular deck material for contemporary homes. Common choices include massaranduba, cumaru, Philippine mahogany and the ubiquitous tigerwood. Their popularity isn’t just for exotic value; these wood choices are naturally sturdy, durable and resistant to rot and insects. They are also naturally rich-grained, although some don’t readily accept stains and are a bit pricier, even when compared with cedar and redwood. For the eco-conscious homeowner, composite wood is the perfect deck material. It’s made from plastic lumber widely known for its high stain resistance. Additionally, it doesn’t splinter, warp or rot, and tends to have a longer service life than other wood materials. At State Roofing, we offer complete roofing and exterior services from roof repair to deck installation. Call us today at (800) 810-7305 and we’ll help you pick the right deck material for your new home addition. We install decks throughout Tacoma, Bothell and Everett, WA.